Initial reception for Murder on the Orient Express was overwhelmingly positive. The Times Literary Supplement from January 11, 1934 said stated that the crime would have been perfect had not Poirot been on board to solve the mystery. Other reviews around the world were equally positive in their view of the novel, seeing it as one of the finest examples of the genre of detective fiction. At least one important historical event served as inspiration for Christie’s novel. Charles Lindberg’s son was kidnapped and murdered in 1932. The scandal which ensued captured the public imagination and much of the world. The murder of a child in the novel was inspired by this historical event. The incident of the Lindberg’s maid who committed suicide after being harshly interrogated by the police also figured in the formation of Christie’s story. 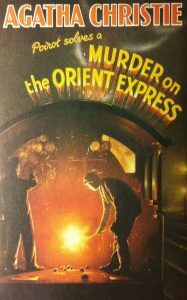 Agatha Christie rode the orient Express and was also inspired by an event in 1928 in which the train was stranded in a blizzard in Turkey for six days. The book was adapted for a film in 1974. Directed by Sidney Lumet and Starring Albert Finney as Hercule Poirot, the film was a huge success and stayed relatively close to the novel. Ingrid Bergman won an Academy Award for Best Supporting Actress for role as Greta Ohlsson. A 2001 Made for Television adaptation starred Alfred Molina as Hercule Poirot. This version updated the scene to the present day and deleted many key characters from the story. It was poorly received. More recently, Kenneth Branagh directed and starred as Hercule Poirot in his version from 2015. This film switched the location for the murder of Daisy Armstrong from Long Island to New Jersey where the Lindberg child had been kidnapped and murdered. Murder on the Orient Express was made into another film in Japan in 2015, and it has been adapted for a video game.